Shooting three commercials is better than shooting one! Shooting three commercials back to back is great fun! and it is even better when you are surrounded by the people you grew up with, led by that amazing director that is Jota Aronak. Thank you very much to everybody for being so supportive and especially to my beloved G&E team from Iluminación FM and my Camera team, all of them friends I had the pleasure to learn from in the past and still learn from them nowadays! – Julio and Carlos – Sparks, who are not in the photo because they were pre-lighting a different location! 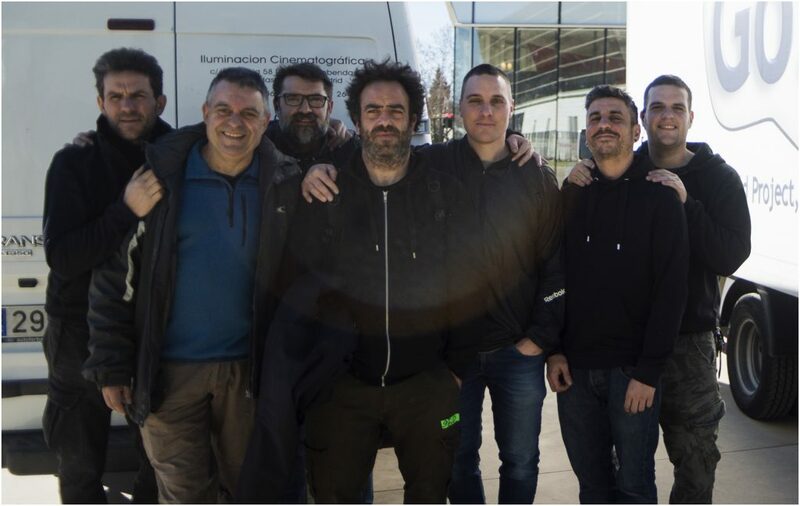 And many thanks to the tireless production team managed by Chema Sayago, Daniel Escribano and Daniel Cano from RCR! They made everything possible!